We were aware that this beast with its generously gabled roof would be pretty tall. Especially on a flatbed. So I worked on some mechanism that would allow the gabled roof to fold down flat. 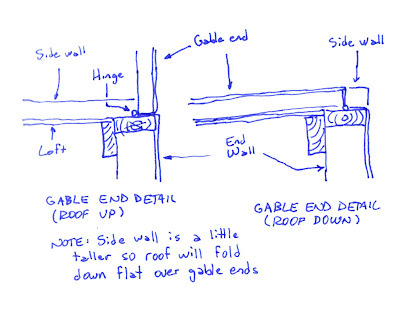 The question is: How can you fold down the gables and then the two roof sections without anything binding? I came up with a solution that I liked. The gable end walls are a little shorter, so the gable ends can fold down without binding the roof sections. 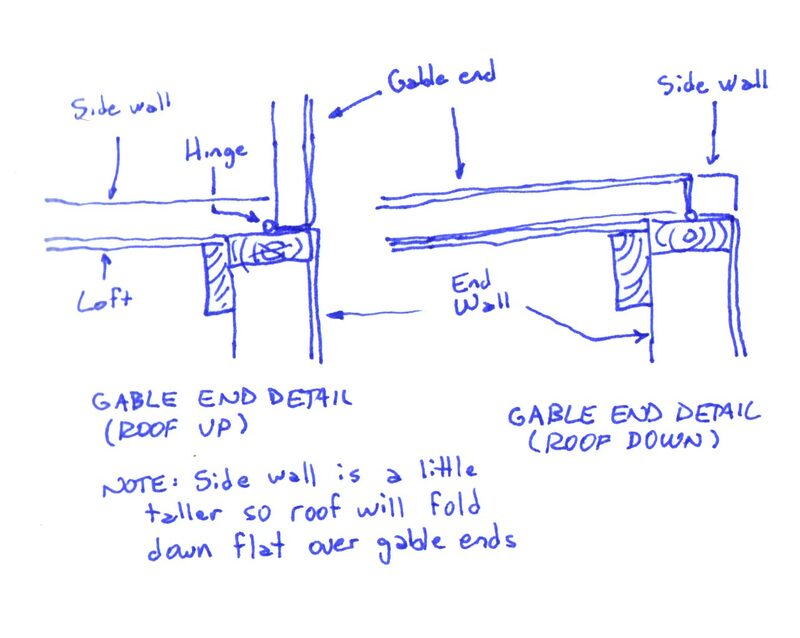 If the roof sections themselves are in danger of binding (which I doubt since their overlap is minimal), the two side roof sections could be slightly different heights, though this might introduce other problems or look weird.